Climate change and its impact on Agriculture has undeniaby been one of the crucial issues of our time.. In the past years African farmers and herders followed favorable climatic conditions and some local indigenous ideas to hoe their food crops and to raise their livestock in Africa. The constant climatic changes have put this livestock and agricultural production into a mess. Farmers across the world like in Africa are finding new ways to adapt in these changing weather conditions and patterns. 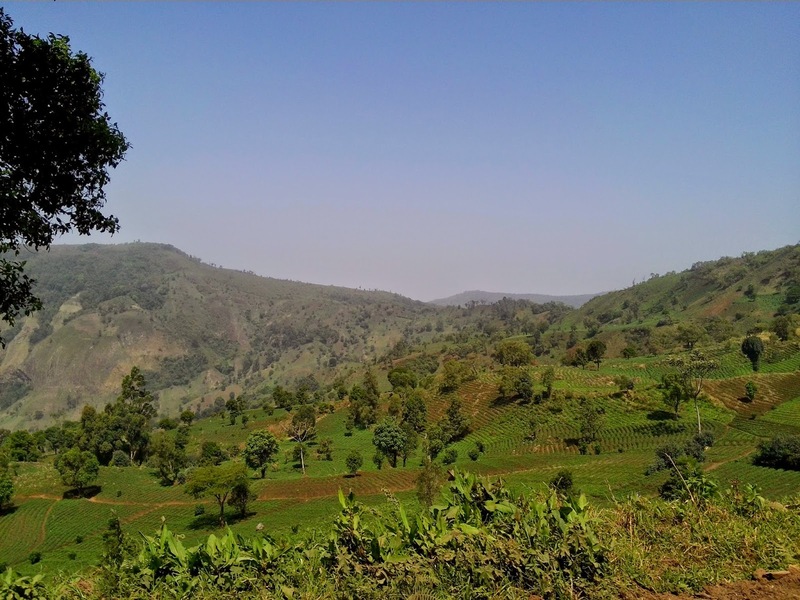 The use of indigenous knowledge and adaptation tools properly tailored to this local environment is gaining new grounds under the banner of Climate- Smart Agriculture in Africa today. Nonetheless this is not a new science. Though this science is fast taking a political and economic tone across the world, Its adoption and rejection is gaining momentum as the continent find ways to bail itself from the fangs of poverty and misery. A call for a Global Alliance for Climate -Smart Agriculture started during the US-African leaders summit in August of 2014 when the US secretary of state John Kerry urged and encouraged African leaders to join this movement. John Kerry said 70% of Africans made a living out of Agriculture and that a Climate -Smart was effective in ameliorating poverty across the continent. "Due to hotter temperature , longer droughts and unpredictable rainfall, there was a need for Climate -Smart Agriculture and creative solutions that inceased food crop production" Kerry remarked. Five African countries including, Liberia, Malawi, Niger, Nigeria and Tanzania during this summit decleared their intentions to join this Global Alliance for a Climate -Smart Agriculture. Climate -Smart Agriculture is observed as a solution to redynamizing and transforming agricultural production by revolutionalizing practices and tools that appropriately address the threats of climate change and the adaption of agriculture to the changing weather conditions. The first approach in this technology is to enhance healthy soils by using natural sources like plant nutrition and by reducing the use of chemical and inorganic fertilizers.Thinking in line with Climate-Smart Agriculture, Food and Agriculture Organization (FAO) reported in 2011, that the combination of mineral fertilizer application and a dual purpose grain legume like soyabeans intercropped with maize crops increased food crop yields in East Africa by 140 to 300% and left a positive N -balance in the food production cropping system. The common sense integrated livestock management system in the Sahel is also praised by this FAO report. In this report farming with trees has numerous benefits to the land and soils. these environmental loving trees do not fight with the food crops over light or water. Their rich nutrigen rich leaves are shaded on the land to provide a rich foor crop fertilizer. These trees also provide friuts and fodder to man and animals. In the grassfield of cameroon farmers grows food crops with calliandra trees or prunus Africana trees. This technology has helped over the years to increased food crop production and bee keeping along the slopes of the kilum mountain forest. This bee keeping projects have intended ameliorated incomes and food security for these small farm families.